All passengers, individuals, families and groups need no reservation. Boarding is in the order of arrival. Usually here is no waiting time for a boat, except for Obon holidays, Golden Week holidays and the consecutive holidays. 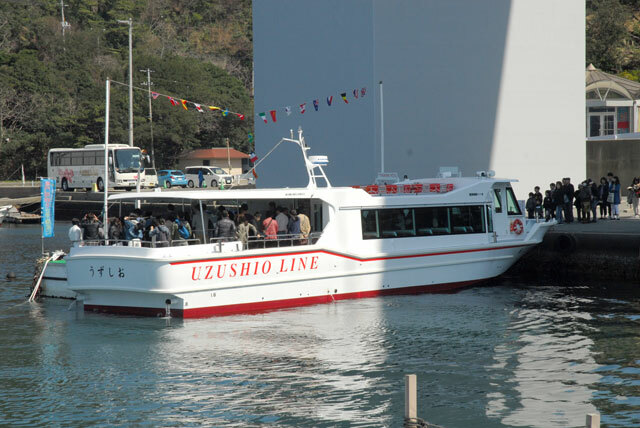 Whirlpool sightseeing boat UZUSHIO's maximum capacity is 86 passengers. When the boat is full, passengers will be boarding on the next boat (departing every 30 minutes) in the order of arrival. All crew members are looking forward to having you join us. ※Please check“Whirlpool Exciting Level” website to find out the schedule.